Students who actively participate in student organizations at IUPUI aren’t doing it for the extra bullet point on their resume (though it sure does look nice there). They’re involved because they’re passionate about the work they get to do through the organization. They’re excited about the relationships they’re building—professional and personal. And they’re excited about where their experiences will take them. Plan an international service trip with Timmy Global Health, or create opportunities for civil discourse with Democracy Plaza. Join the Graduate Professional Student Government, or dedicate your talents to the Student Activities Programming Board. 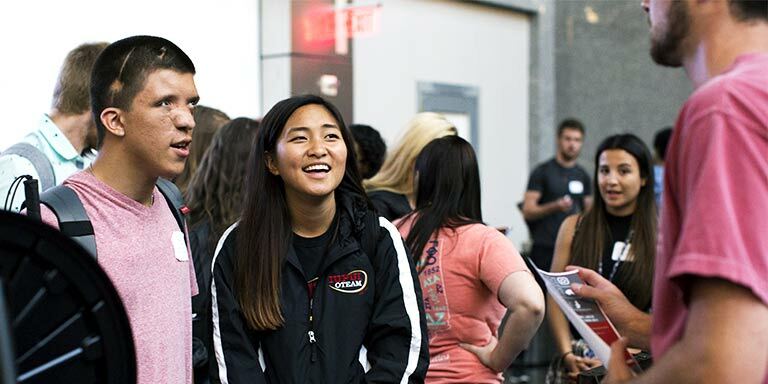 When you join a student organization at IUPUI, you’ll develop the valuable experience and connections needed to get a head start on a career you’ll love. 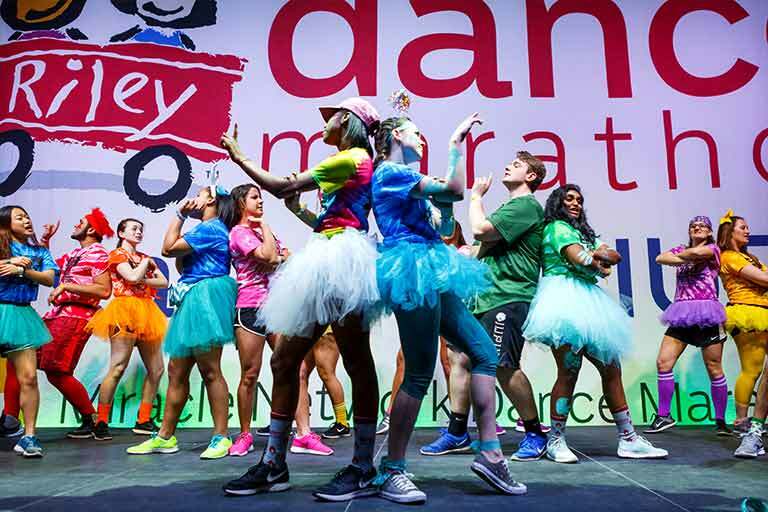 The Student Foundation at IUPUI organized Jagathon—IUPUI’s dance marathon that raises money for Riley Hospital for Children. 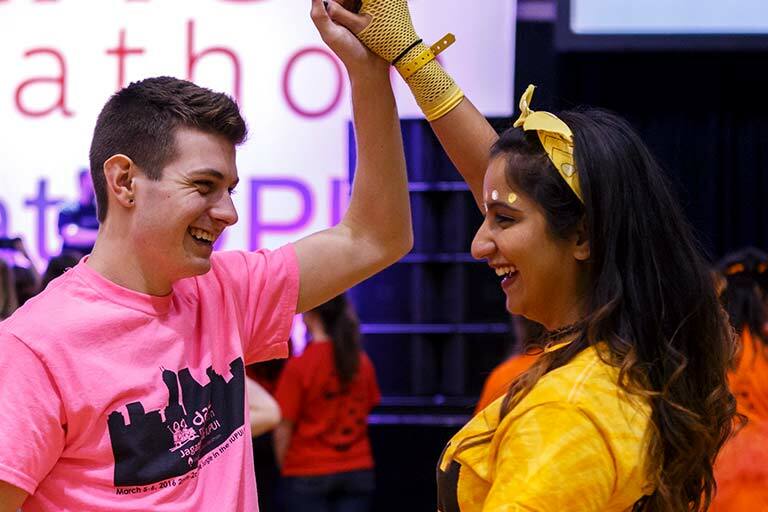 Learn how to join the Student Foundation at IUPUI. 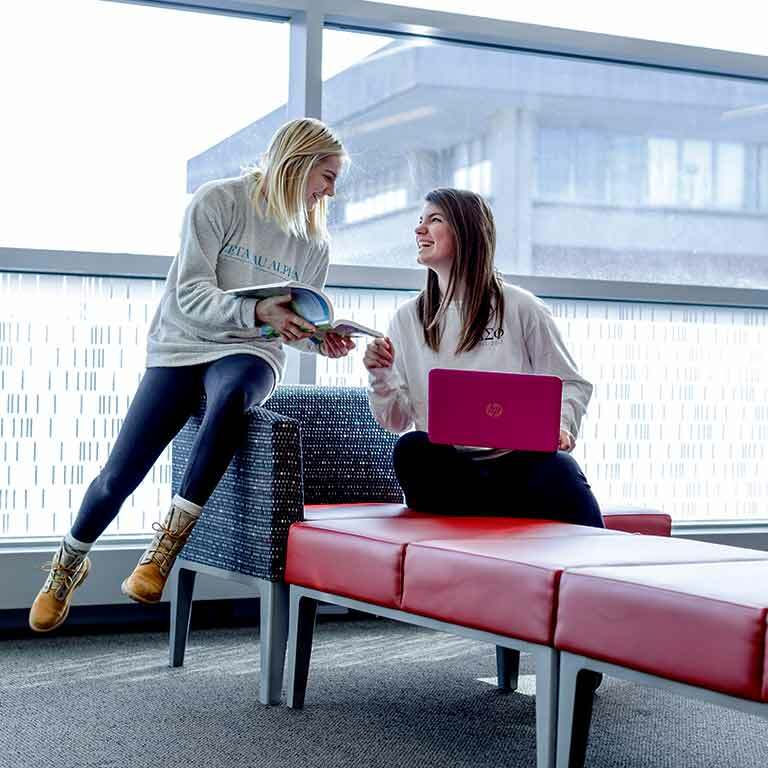 There are plenty of resources on campus to help your student organization promote things like meetings, events, and fundraisers. Start by stopping by the CUBE. Located in the Campus Center, this is where org members gather to discuss business and prepare to make some waves. You’ll also want to check out the Multimedia Production Center, which is a media lab created specifically to help student organizations with print and electronic advertising.